HAGOP SEISSIAN & SONS was established in 1960 and is completely dedicated to your total satisfaction in Antique Restoration. products and their application through researching the type of fittings used over the centuries. 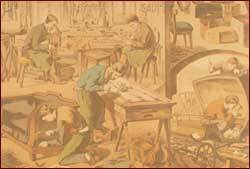 We preserve the integrity and value of antiques by treating every piece conservatively. 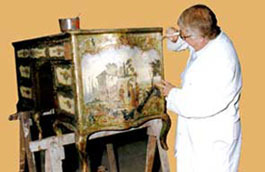 We fully restore any damaged aspect of an antique to its original glorious state and luster by applying authentic finishing techniques.